Pat Walker, GIS Supervisor with the City of West Allis, was recently recognized for his work with the West Allis Fire Department (WAFD), helping to raise awareness of the opioid epidemic in Southeast Wisconsin. 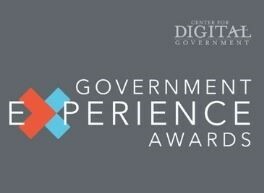 The city received a Government Experience Award by the Center for Digital Government. The Opioid epidemic is impacting communities across America. The Fire Department needed a way to visualize where they were administering doses of Naloxone (Narcan) on EMS calls to overdosed individuals. By using their GIS to map and display the approximate locations of administrations on an interactive publicly-available map, they are able to see trends, patterns and hot spots where they have administered Narcan. To get a more complete picture, adding in the drug related deaths from the Medical Examiner provided the necessary information to get a better understanding of the epidemic. The interactive map and reporting Dashboard serves to help educate the community by communicating efforts made by EMS to save lives, provide links to substance abuse providers, and promote drug takeback locations in and around West Allis. Congratulations to Pat and the WAFD staff involved in this effort!